I began my career practicing emergency medicine for 15 years in Long Beach St. Mary Medical Center. 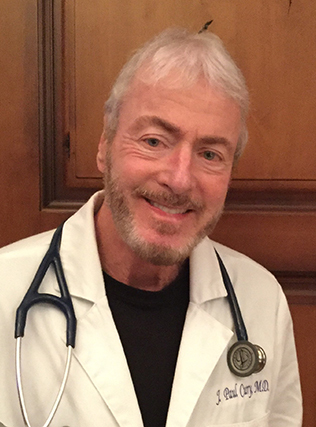 I retrained in Anesthesia and Perioperative Care at UCLA for three years before joining Hoag Hospital and building Newport Harbor Anesthesia Consultants, Inc., where I practiced for 25 years while continuing to teach at UCLA. I am married to Jeanne Curry, an original PanAm flight attendant and dietician now who is still flying for Delta. Together we raised 4 daughters, one a clinical psychologist, one a PA with a Masters in Public Health, one a hospital administrator at hospital for special surgery in NYC, and one a national guard pilot in Reno, Nevada. In the meantime I’ve enjoyed racing kayaks and surf skis from Catalina to Marina del Ray and Long Beach, and still paddle on standup boards daily. I play some jazz piano and bake apple pies as hobbies, taking first place at the Orange County Fair in 2001 using my mother’s recipe. I’ve most recently worked in the medical technology sector for 3 years before returning to my first calling, urgent emergent care, a culture and style of care called sense-making that fosters collaboration and a flexible willingness to alter your diagnoses as new data enters the puzzles we enjoy solving for our patients.